At Prestige Roof Lanterns UK, we offer a range of curved and domed roof lights, skylights and roof lanterns, otherwise known as roof domes. Our curved roof lanterns are the most sophisticated range of roof domes on the market and offer a luxurious, prestigious aesthetic to any contemporary or traditional property. 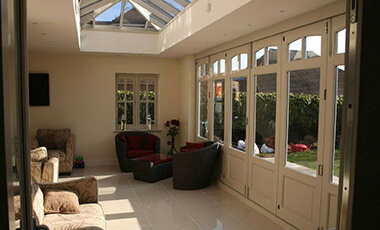 In addition, our bespoke flat roof skylights can be manufactured to be curved or domed, depending on your preferences. Domed roof lanterns are considered to be the most luxurious feature of any home. They make a spectacular addition to any room of a property. From a grand and traditional Victorian-style orangery to a contemporary kitchen-diner, a domed roof lantern undoubtedly adds an impressive aesthetic that allows a high-level of natural light into the home. At Prestige Roof Lanterns UK, we offer bespoke and standard size domed roof lanterns. We think that a domed roof lantern looks particularly special when it is made to be the focal point of the room. 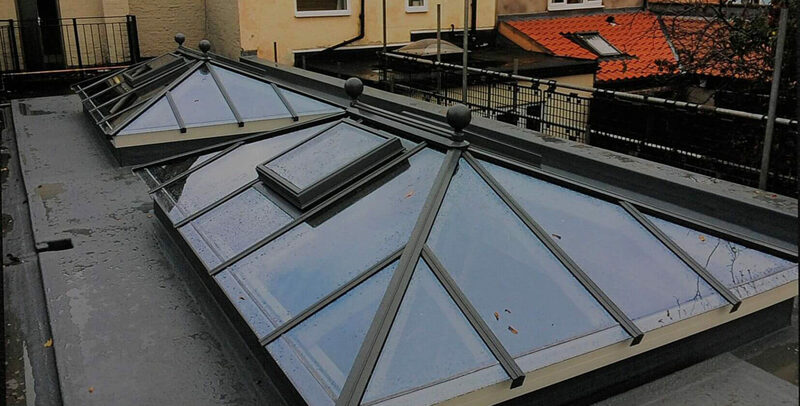 Because we use the latest in timber and glass curving technology, the domed roof lanterns, or roof domes, from Prestige Roof Lanterns UK offer an exciting range of grand designs and are a stunning feature of any prestigious property. Dome flat roof skylights are a great, yet simple, way of allowing more natural light into the home. The curved aspect of the dome skylight encourages the maximum amount of natural light to enter the room and adds an interesting aesthetic to the roof of your property. Due to the compact size of our roof dome skylights as well as their simple, clean installation and easy maintenance, our circular and domed flat roof skylights are a popular choice of roof dome. Ultimately, because our roof dome skylights are smaller, and more compact, than roof lanterns, they are an ideal option for smaller, flat roof structures. If you are interested in having roof dome skylights installed in your home. All you need to do is choose your size, style, provide your size specifications and additional features, and we’ll sort the rest. 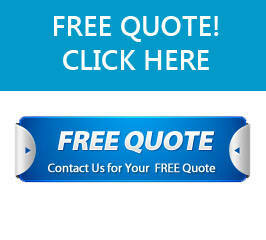 What’s more, all of our quotes are free. To receive a quote, simply fill out our call back request form or call 0843 886 7949 to speak to a member of our specialist team.